Considering an upgrade to your vintage or historic home? In this series, master craftsman Daniel Westbrook interviews industry expert Mark LaLiberte, founding partner and president of Construction Instruction. Mark has been educating the building industry on the science and physics of construction for more than 30 years, and sharing the benefits of constructing durable, energy efficient, healthy homes. Seattle and the Pacific Northwest region have consistent, long-lasting, cloudy weather with cool, wet conditions and relatively high humidity. Our weather creates challenges when it comes to drying materials and long-term durability. Homes are often susceptible to water mismanagement, whether it’s generated by interior occupants or exterior climates. Wood-base products, sealants, caulking, masonry, and brick are all challenged by water. Remember to use dehumidifiers and dry down a building during any remodel or retrofit project that introduces moisture. It's ideal to do this before you put on the drywall, start painting, or lay down flooring, as examples. The results of not using dehumidifiers and drying the building could eventually show, for instance, as cabinets or crown moulding begin to separate from the ceiling. Buildings absorb water, as materials like drywall, wood, and plaster retain moisture. Buildings can accumulate moisture and shed it, too, so it’s important to find an equilibrium. That’s why using a dehumidifier is so important during the building phase. As you increase the size of your home or change the space (take up cooking, have a child, get a dog, invest in an aquarium), the moisture level in your home changes. An elevated moisture level is important to keep in mind as you’re performing an energy audit, changing the usage of space, or renovating your home. 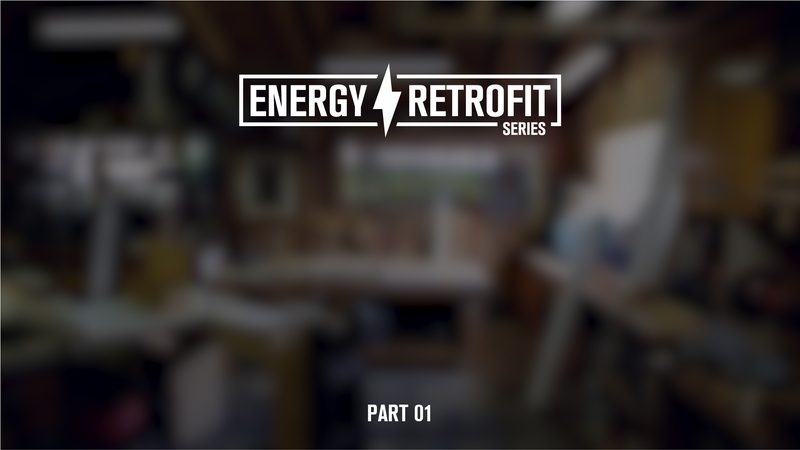 Stay tuned for more on energy retrofitting from Daniel and Mark over the coming months. Certified professional organizer Debbie Rosemont visits the Dunn Lumber podcast to offer tips on how to declutter your workspace and prioritize the things that matter most. The two most common reasons rot occurs on any home or building is moisture penetration from either inferior construction or lack of maintenance.